Now that it’s finally spring and warmer weather has seeped into the forecast, there’s no better way to take advantage than making a trip to the North Fork. Wineries, gorgeous landscapes and delicious restaurants—the area never disappoints. Neither does East Wind Long Island. Located in Wading River, East Wind is a one-stop destination allowing guests to take in all the North Fork has to offer. Think luxurious accommodations, a Zagat-rated restaurant, charming shops, a spa and an ideal location. It’s a short distance from the North Fork’s serene beaches, beloved wine country and even the Hamptons. East Wind is not just a stop, it’s a destination. A good night’s sleep is inevitable at any of East Wind’s 50 luxurious and spacious hotel rooms. Options include a traditional room designed with classical boutique luxury and modern conveniences; junior and parlour suites perfect for bigger groups (even a bride and her bridal party! 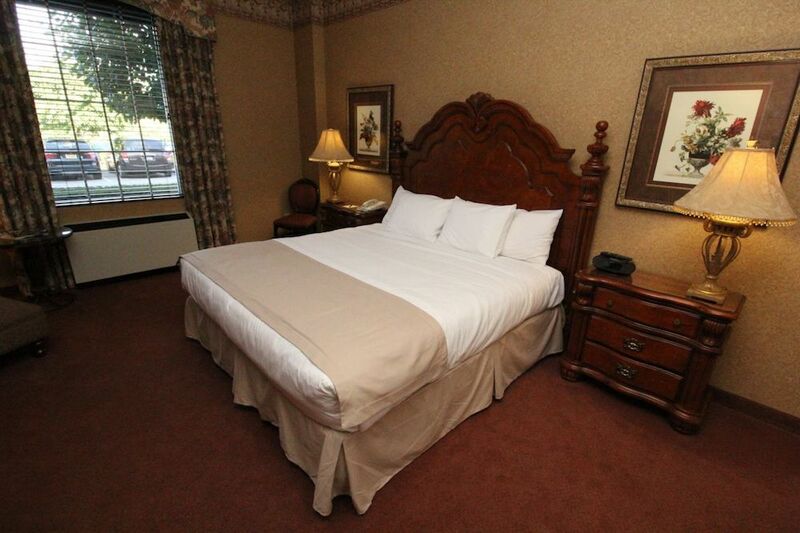 ); and the exclusive ambassador suite that drips opulence with mahogany finishes and deluxe linens. Even better? East Wind offers room specials throughout the year that are too good to pass up. Romance thrives with the Spring into Summer Package, which includes two overnight accommodations, vouchers for The Spa & Salon, a romantic dinner for two and 10 percent off at selected Shoppes. (Expires June 7). 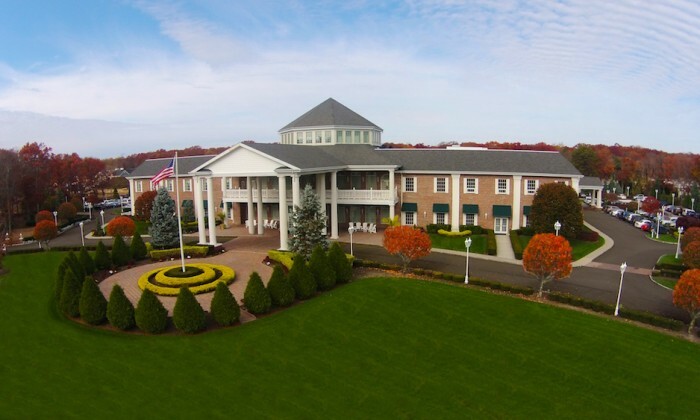 Vino lovers should opt for the popular East Wind Wine Adventure Package featuring tastings at three Long Island vineyards (transportation included), overnight accommodations in a deluxe hotel room, a picnic lunch to go, dinner at the delicious Desmond’s Restaurant and a bottle of wine. Families aren’t left out either with the Family Summer Package including overnight accommodations for four, two complimentary tickets for the carousel at the Shoppes, four tickets to Splish Splash Water Park and a $50 voucher for a pizza dinner at Desmond’s Restaurant. What’s a staycation without some delicious food? 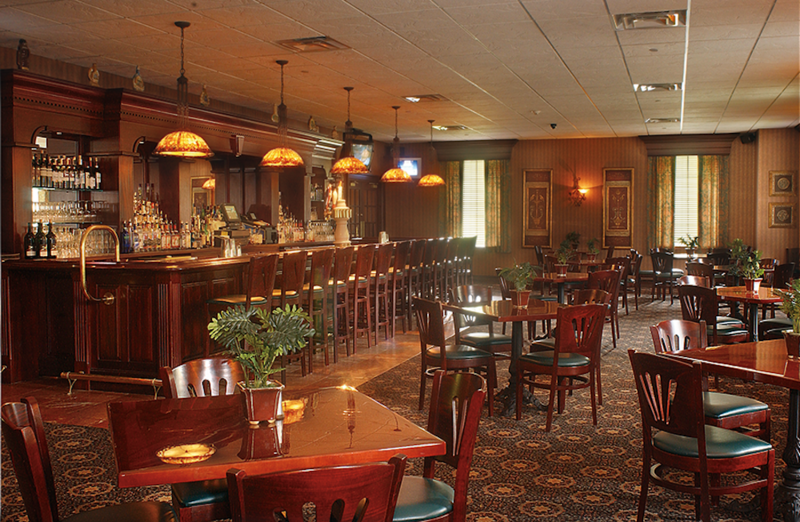 Step inside the aforementioned Desmond’s Restaurant & Lounge, a warm, cozy eatery complete with wooden furnishings, and prepare to be satisfied. Open daily for breakfast, lunch and dinner, the menu offers a wide range of appetizing choices and caters to all allergies and dietary needs. Think pizza, pasta dishes, steaks and appetizers like French onion soup and baked clams. Visitors especially can’t get enough of executive chef Ryan Augusta’s chicken papu (French breast of chicken, ricotta cheese, prosciutto, spinach, Madeira mushroom gravy and mashed potatoes) and frutti di mare (shrimp, clams, mussels, calamari, marinara sauce and linguini pasta). Expect Sunday brunch with delicious offerings like Belgian waffles, French toast and eggs Benedict; a lunch special every Monday through Friday from 11:30am-3:00pm and happy hour fun from 4-6pm. Desmond’s is also the perfect place to host rehearsal dinners, intimate showers and bereavement events in its semi-private dining area. Take in the smell of herbal aromas and pamper yourself. The Spa & Salon at East Wind—a 10,000-square-foot facility open Monday through Sunday—is equipped with 14 treatment rooms, 2 saunas and 2 steam rooms. Choose from more than a dozen facial options as well as a slew of massages and body treatments. There’s even a hair and nail salon allowing ladies to get glammed up for the evening and guys to prepare for a special occasion. Of course there are special packages to boot. The Keep Calm and Spa-rty On includes a luxury overnight accommodation, a vitamin C facial or massage and spa lunch paired with a cocktail. Lovebirds look no further than the Just The Two Of Us package with a hydro-therapy tub soak followed by a rain shower and side-by-side 50-minute massages. There’s also a Bachelorette Party Package (wine tour included!) and the Spa Soiree For the Day allowing friends to enjoy a little pampering with wine and food. 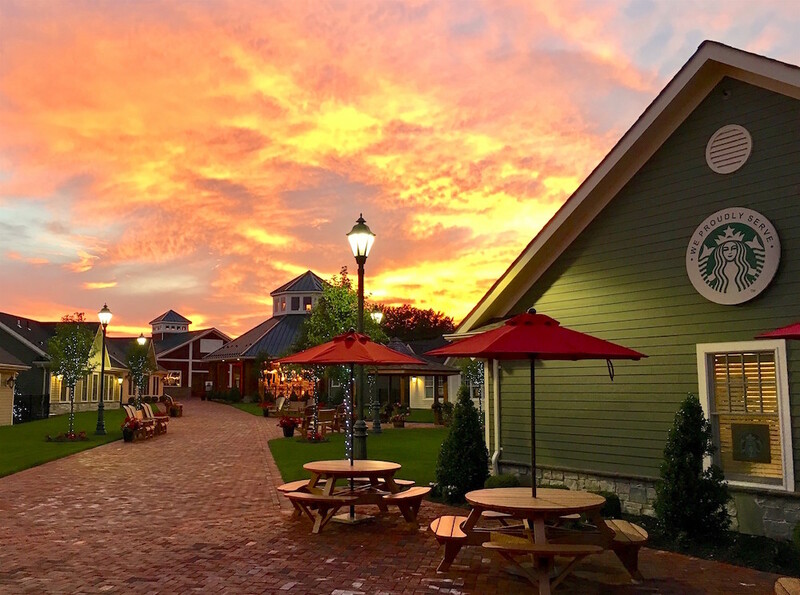 Follow the winding brick pathways to experience the village charm of The Shoppes at East Wind. There are options galore with more than 28 shops and eateries made up of individual small business owners and a grand carousel. The motto is “Shop Local” for fine jewelry and fashion, home goods, antiques and fine art. Visitors can also enjoy artisan tea, local wine, nostalgic candy, decadent cheese and spices. Not to mention pizza and ice cream. And coming this spring, A Cake in Time Bakery and Ruggero’s Family Style Restaurant. Also keep an eye out for seasonal and annual events like the Wednesday Night Antique Car Show (starts in May) and live music and family entertainment during Live at the Shoppes on Wednesday evenings from July 11 to Aug. 15.